It’s been rumored for a while that Samsung would be announcing three variants of the Galaxy S10 which would be launched on 20 February and we also might get to see a 5G variant of the device; however, that might come a bit later. 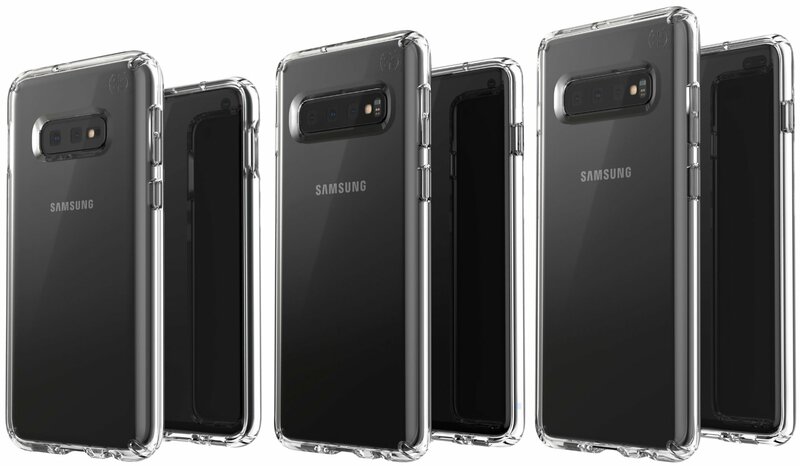 Anyhow, popular phone leaker Evan Blass took to Twitter to post an image which shows off the three variants of the Galaxy S10 encased in transparent covers. The image shows the Galaxy S10E(lite), Galaxy S10, and the Galaxy S10+. As previous rumors have indicated, it seems the Galaxy S10E would indeed have a flat display rather than edge displays we’ve seen with the Galaxy S8 and S9 lineup. What’s also great is the fact that there does seem to be cutouts in the cases for the 3.5mm headphone jack which means Samsung isn’t ditching the good old headphone jack yet. As expected, the Galaxy S10E(lite) would have two primary cameras while the Galaxy S10 and S10+ would come with three primary cameras. However, both the Galaxy S10E(lite) and the Galaxy S10 would have only one front-facing camera while the larger S10+ would have dual front-facing cameras.